I love granola bars, but the ones from the store are usually packed with preservatives and sugar. 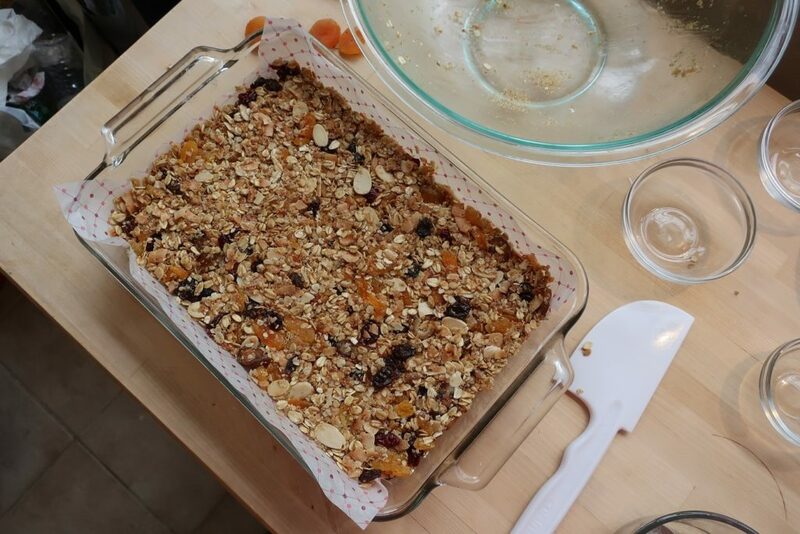 I recently came across a recipe from Ina Garten for some homemade granola bars and decided to try it out. 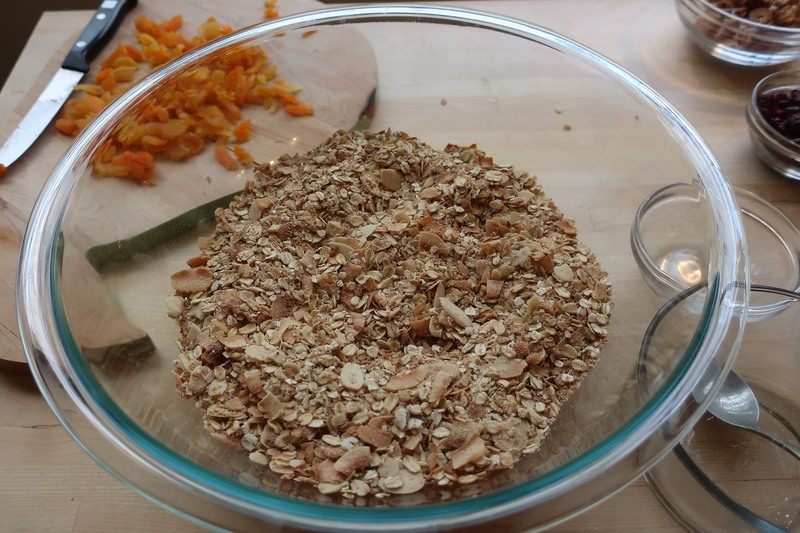 This recipe is perfect for a brunch, breakfast, or a healthy snack. 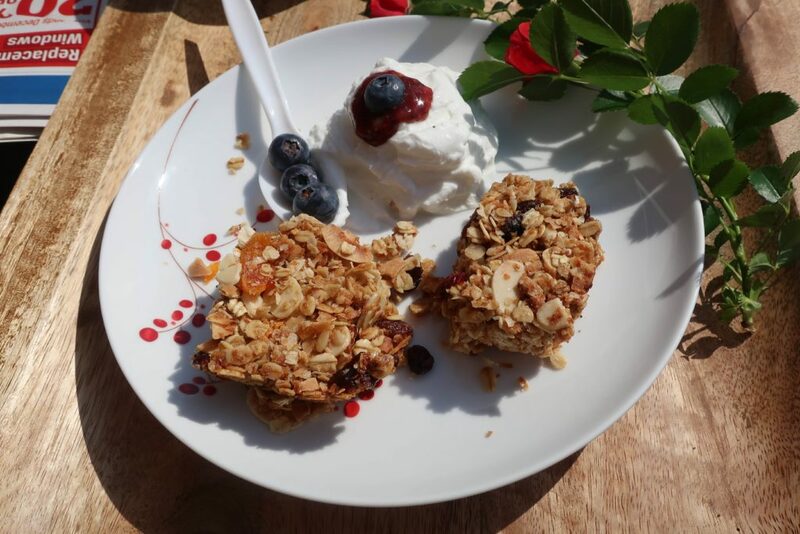 Serve them with yogurt, berries, and your favorite hot beverage. Enjoy! 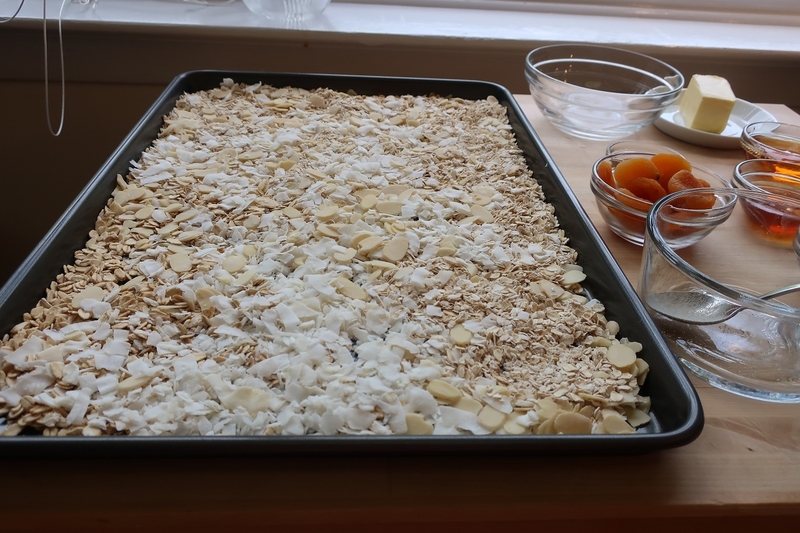 Mix oats, almonds, and coconut on a cookie sheet and put in the oven at 350 degrees for about 10-12 minutes to toast a little. Make sure to mix them a few times, otherwise the mix will burn. 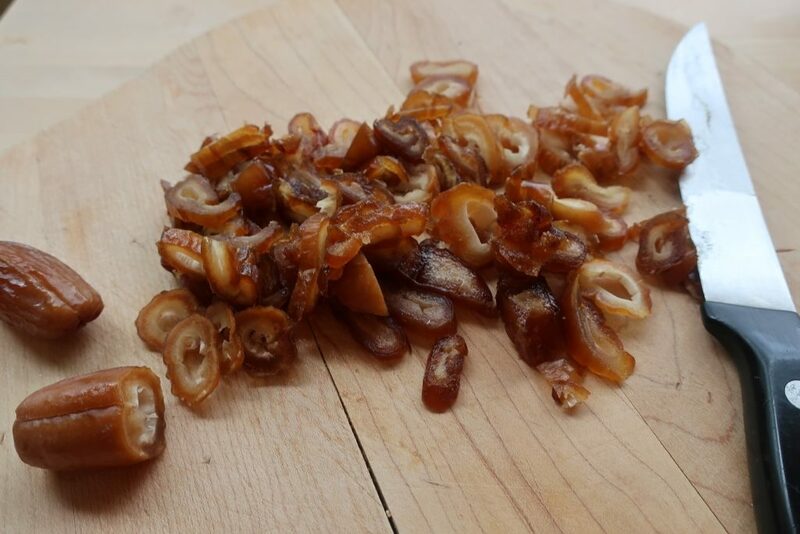 In the mean time chop some dates. 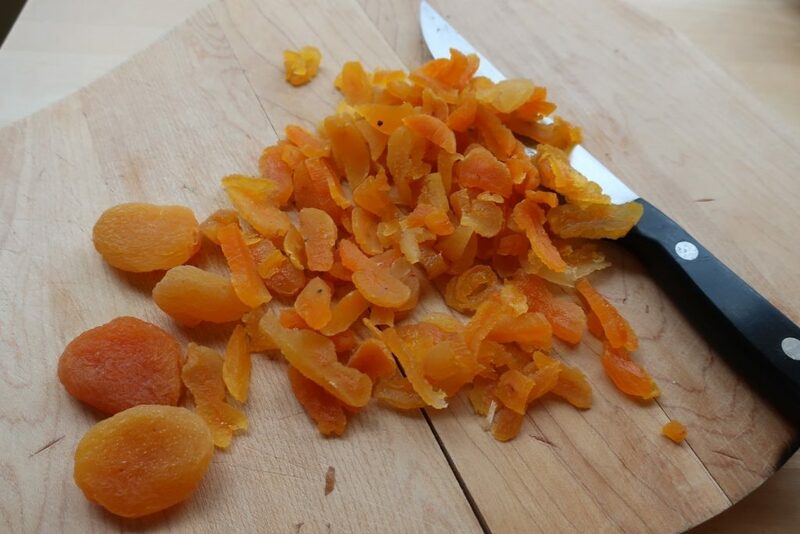 Dice a bunch of apricots into small pieces. 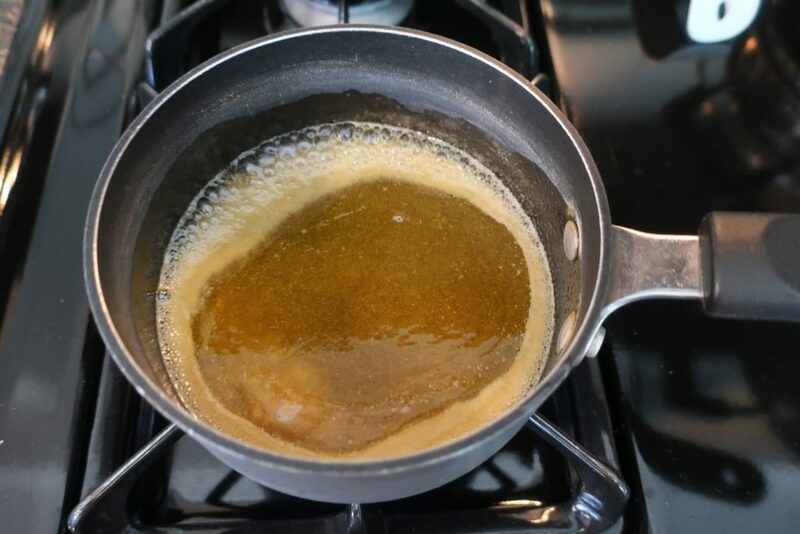 In a small saucepan put butter, honey, golden syrup, maple syrup, and vanilla. Simmer for a minute. 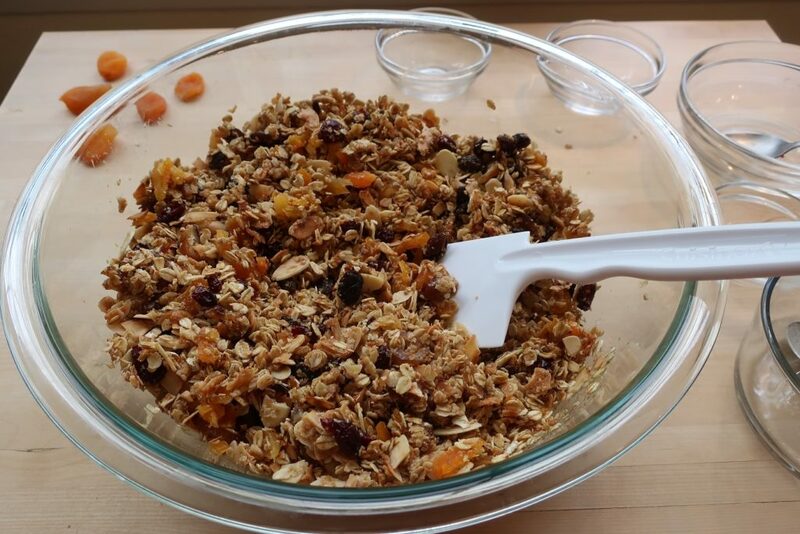 Put the baked oats in a big bowl. 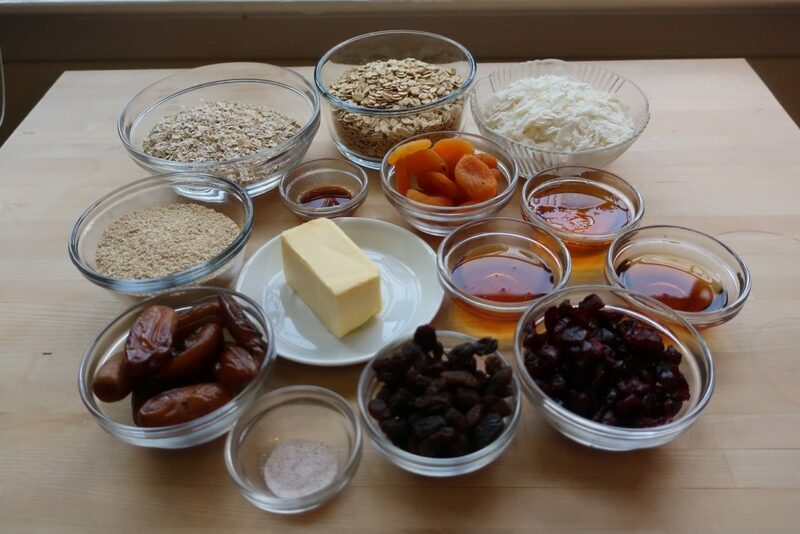 Add the melted syrup, butter, and chopped fruits to the dry oats. Mix well. Put the mixture into a 12 x 8 pan and press well with a spatula. Bake for 25-30 minutes in a 300 degree oven. Cool for a couple of hours and cut into 18 squares. 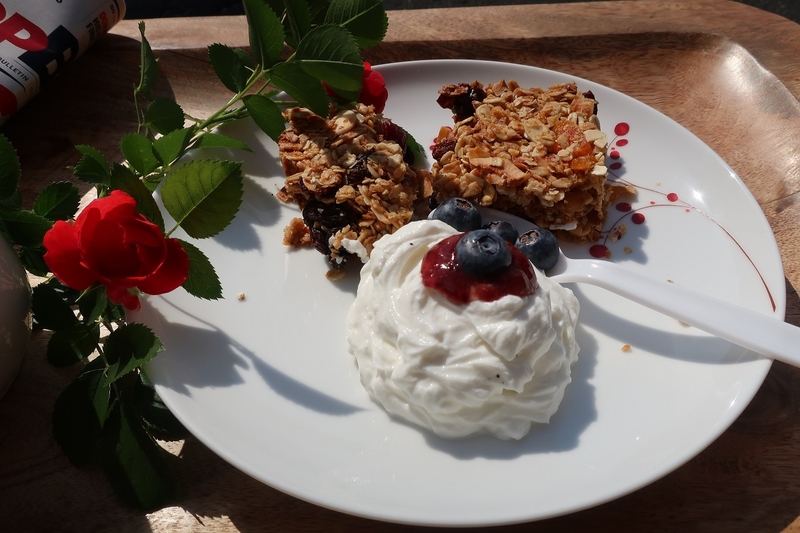 Enjoy with yogurt and your favorite hot beverage. Bon Appetite!